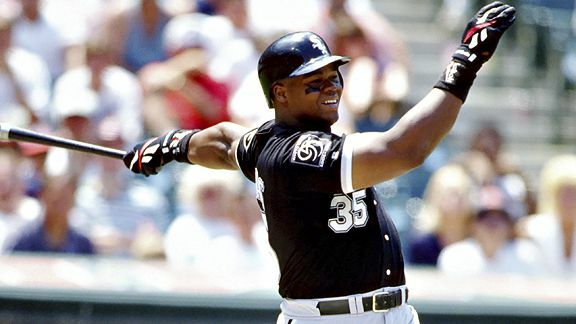 Known for his imposing figure, the "Big Hurt" drove in and scored more than 100 runs and drew better than 100 walks in each of his first eight full seasons in the majors. He also led the American League in OPS in three of his first four full seasons. Finished his career with 521 home runs (currently tied for 18th all-time) and a .419 on-base percentage (19th all-time).